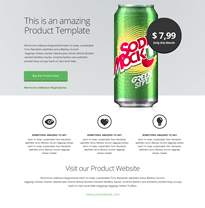 This is a perfect example of a simple landing page template. It includes a call to action, form, bullet points to get your visitor's attention. 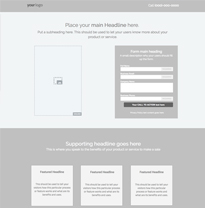 Use 'Below-the-fold content' to include a section to convey more information. Want to promote your mobile app? 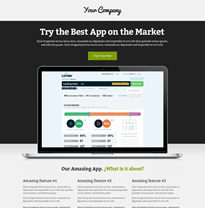 Explore the best collection of quality product landing page templates for your app on LanderApp. 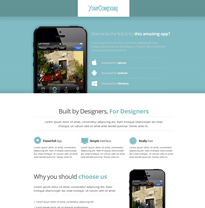 Utilize the best landing page templates and start increasing your app users.